World Cup 2018 kicked off last week in Russia. 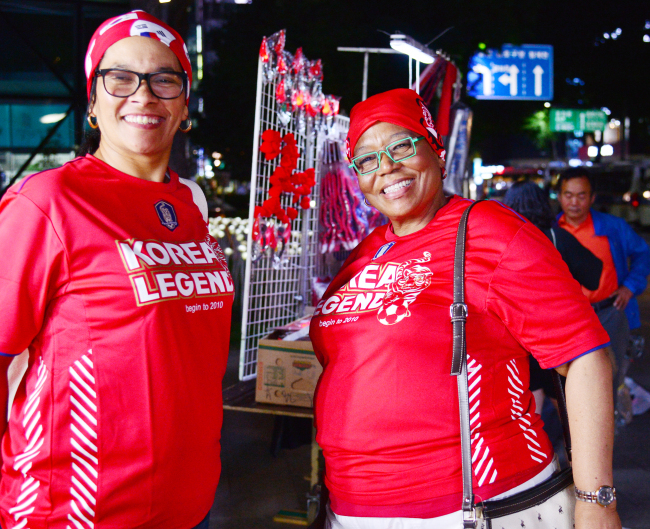 As for South Korea, the first group match against Sweden on Monday revived the tens of thousands of “Red Devils” to take to the streets to cheer for the national team once again. 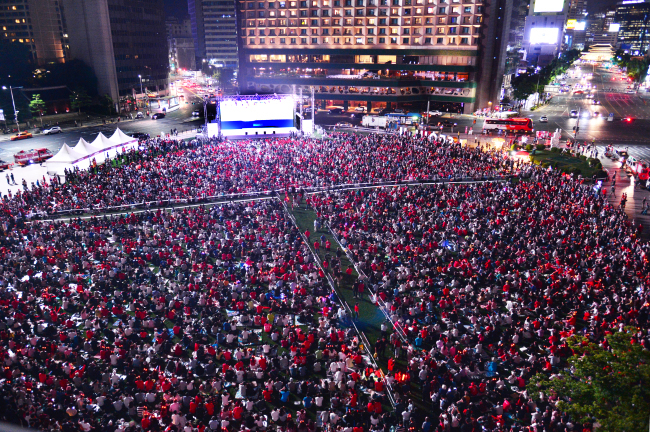 In front of Gwanghwamun Square in the center of Seoul, 25,000 people wearing the iconic red uniforms and head bands resembling a devil’s horns became the Red Devils, while 5,000 also watched Korea’s first match via large outdoor screens installed at Seoul Square in front of Seoul City Hall. Across the city another 40,000 people were on the streets cheering on Team Korea. 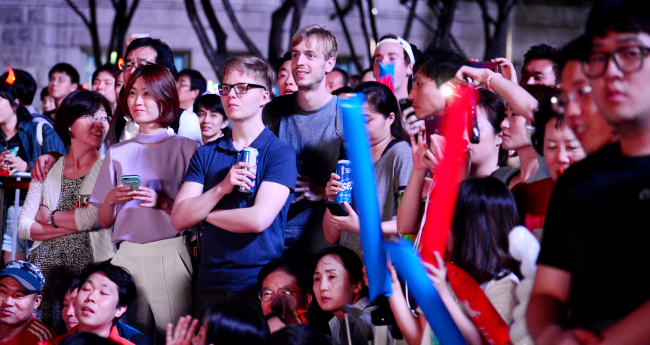 Many non-Korean nationals were also spotted among the large crowds, chanting along to the familiar cheers: “Daehanminguk” (Republic of Korea) and “Oh, Pilseung Korea!” (Oh, victorious Korea). The history of the Red Devils of South Korea goes back to when a fan club for the national soccer team established in 1995 as Korea Supporters Club changed its name to the Red Devils in 1997. 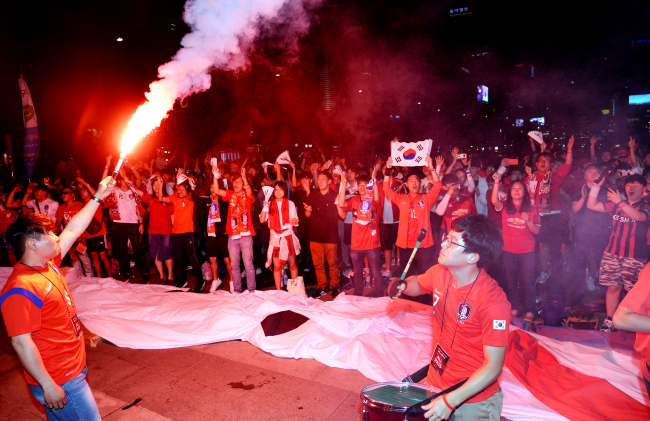 In the 2002 World Cup, which Korea co-hosted with Japan, the Red Devils stirred a sensation, supporting the national team to advance to the semifinals for the first, and so far only, time in the team’s history. Millions of people in red uniforms poured onto streets and stadiums to cheer together at the time, sharing excitement and joy for the beautiful game. 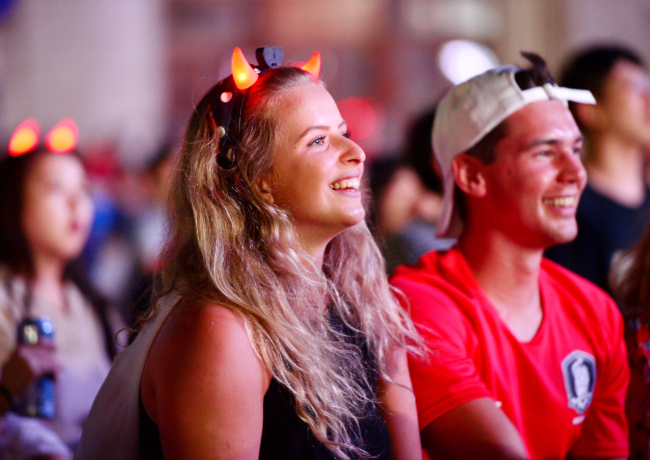 This year’s World Cup has once again inflamed the passion of the Red Devils, who will gather again for Korea’s next match against Mexico on Saturday at midnight.